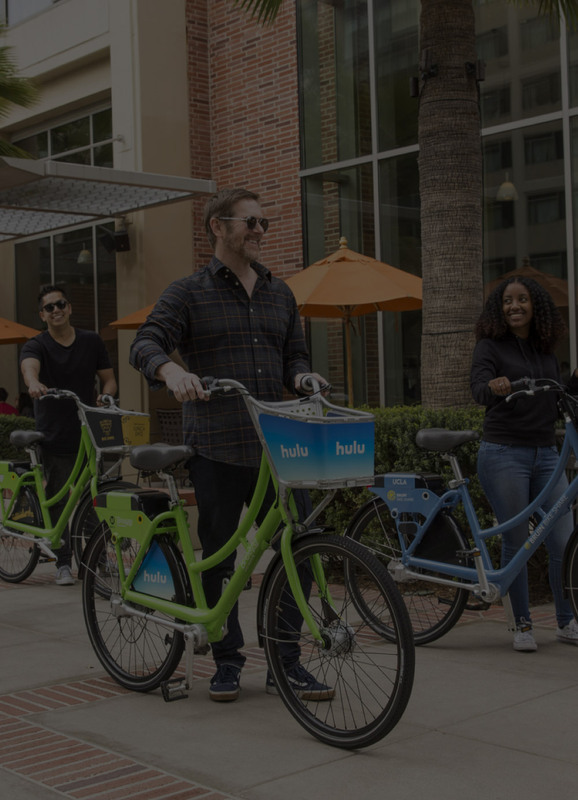 Bruin Bike Share has partnered with Santa Monica, Beverly Hills, and West Hollywood to give you access to over 850 bikes and 135 hubs through the Bike Share Connect network. Cruise across campus, run errands or grab a bite to eat with friends. 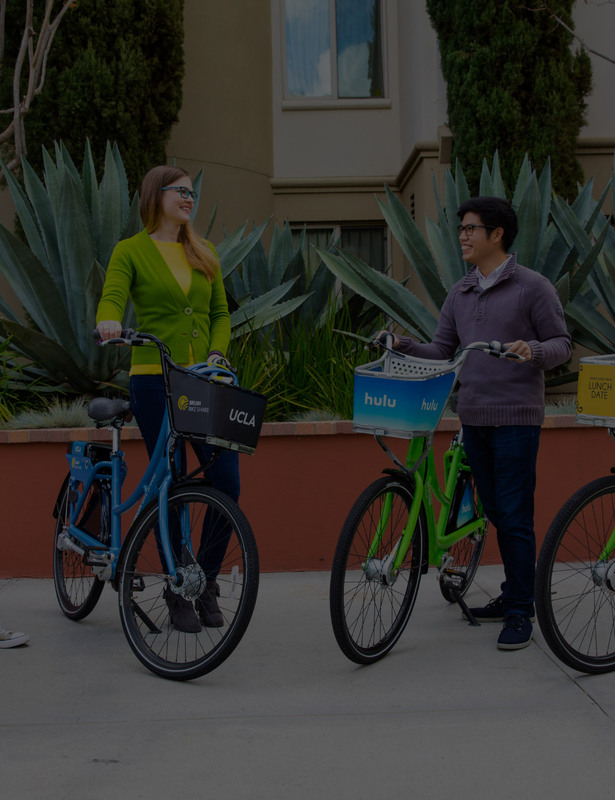 With 18 hubs conveniently located throughout UCLA and Westwood Village, Bruin Bike Share is perfect for short trips and quick adventures. Surf the waves, shop on Rodeo or stroll along the Sunset Strip. Bike Share Connect will get you to fun the fun way. 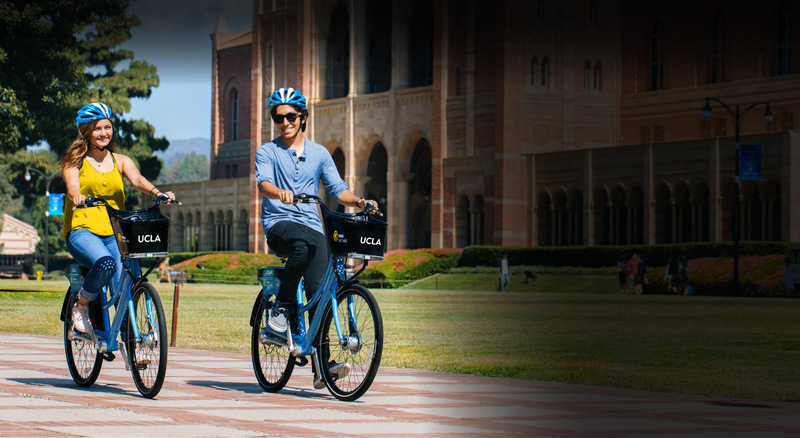 Use Bruin Bike Share to explore 14 of the most bike-friendly neighborhoods in Los Angeles. View Here. 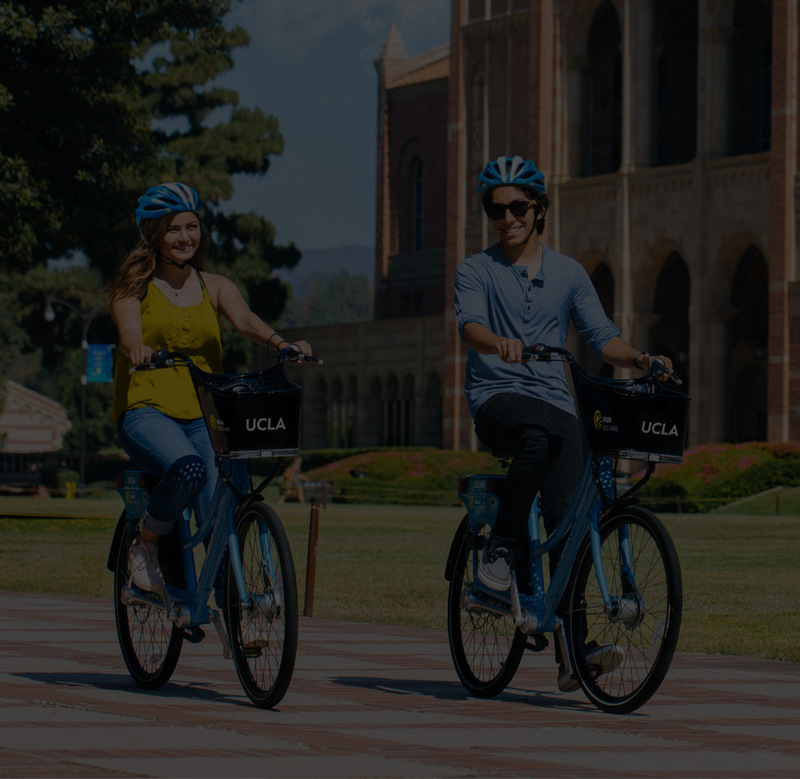 Bruin Bike Share Just Got Bigger! Enjoy a fun and healthy activity. 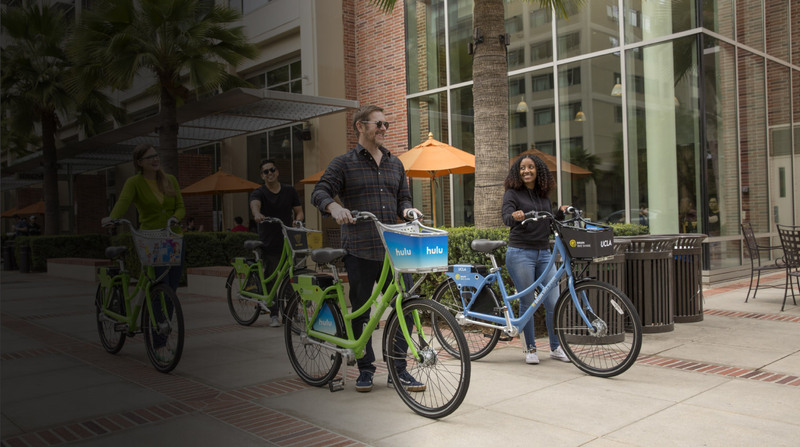 Bruin Bike Share is now part of the Bike Share Connect network. 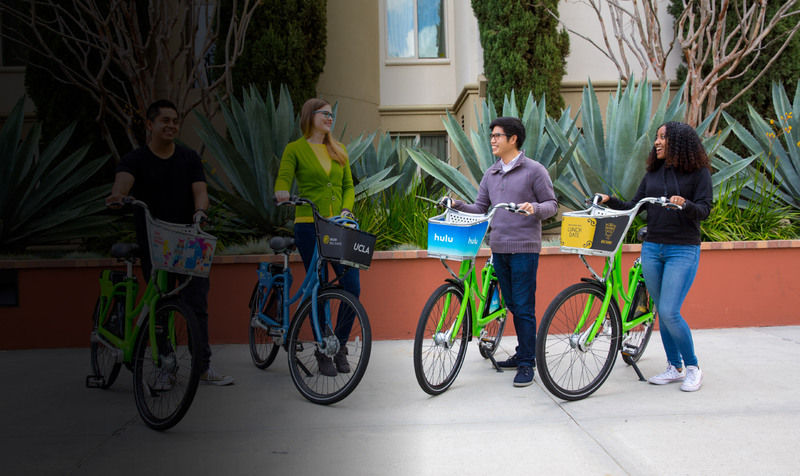 Members will have access to the UCLA, Santa Monica, Beverly Hills and West Hollywood bike share systems. 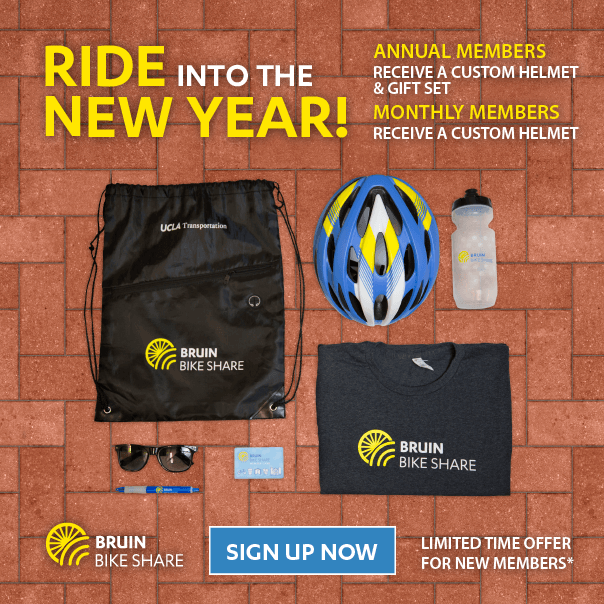 Gift One #Bruinbikeshare and Get One for yourself. Tis the season to Give (and get)!